I chose this book for my 6 year old son who is going to 1st grade. He likes to read but he is not familiar with many words yet. This boxed set of level 1 has 12 books with a story and 4 activities in each book. The stories are very simple with one or 2 sentences per page which is easy for a first grader to read by himself. 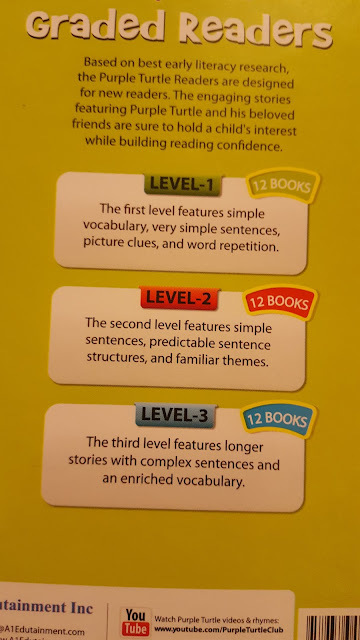 Out of 12 books, i felt, my son needed help for 2 to 4 books. All others were easy with simple words. The stories have good moral too. One story that we read together is about good manners. It was all about saying hello to others, thanking for helping and mentioning sorry to apologise. While one story talks about the importance of eating vegatables, another is about different sensory organs in our body. 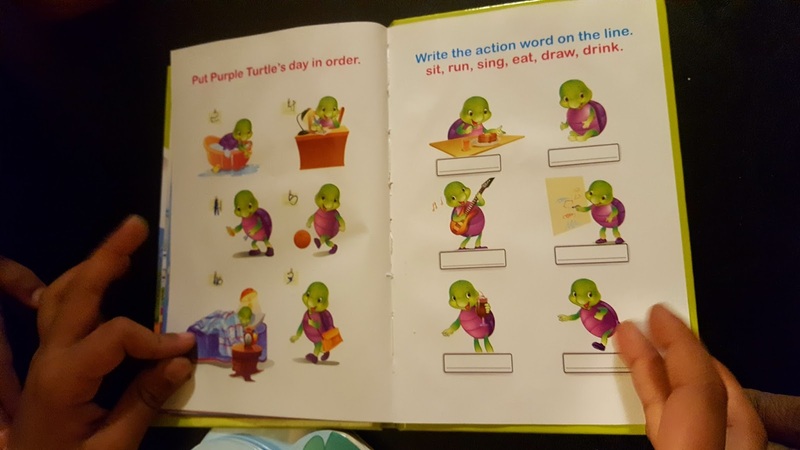 Likwise, there are stories about music, family and about the fun time the turtle spends with his friends. 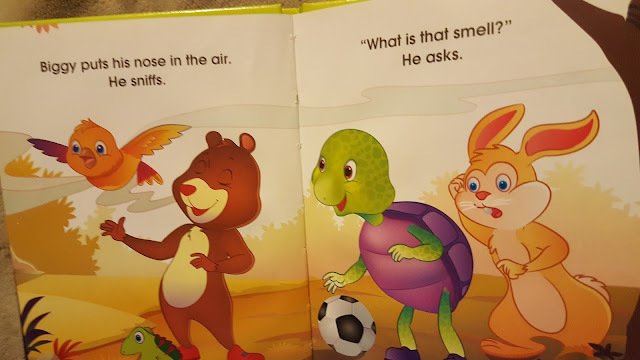 I loved the activities at the end of each book. They are worthy a special mention. A few activities are joining the dots of numbers to draw a picture, matching the images with shadows, matching the related objects, finding correct way to reach destination etc., My son enjoyed completing these activities. I recommend these boxed sets to yoing children to introduce them to reading and to encourage them to read by themselves. The illustrations are great and attractive. 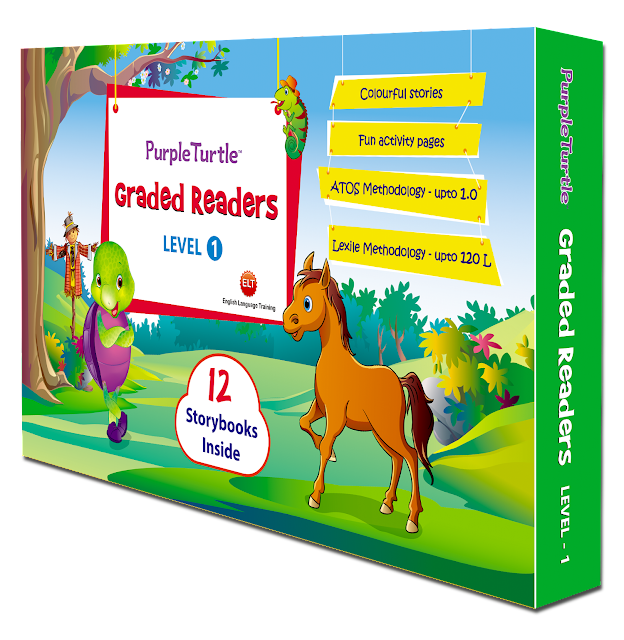 The purple turtle which is the common character in all stories is lovely. Ps: I have received this book from the author through iread book tours and this is my honest opinion on the book.